UPTU exam | www.uptuexam.com | UPTU (GBTU and MTU ) Even Sem Exam Result 2013-14 | www.uptu.ac.in | UPTU GBTU MTU final year result 2013-14 | Learning Java in simple and easy steps UPTU Exam: Even Semester of Practical Examination session 2013-2014. Even Semester of Practical Examination session 2013-2014. 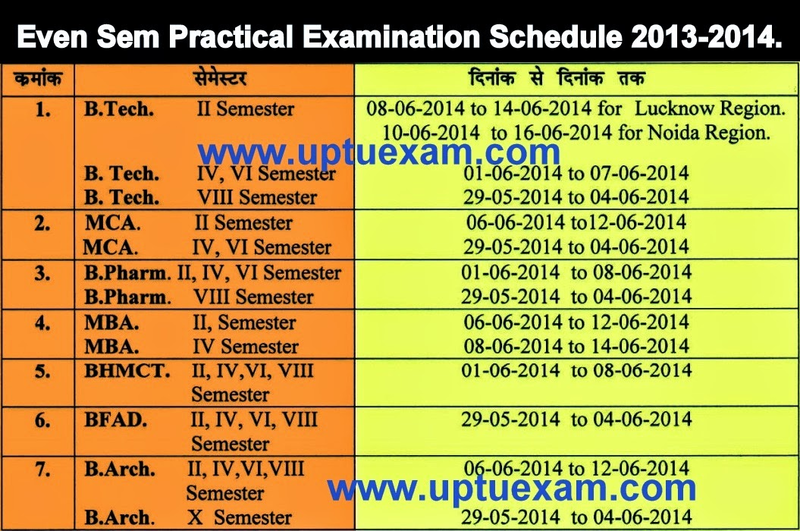 Even Semester Practical Examination Schedule 2014 for B.tech , MCA , MBA , B.pharm , BFAD , BHMCT , BFAD , B.Arch.